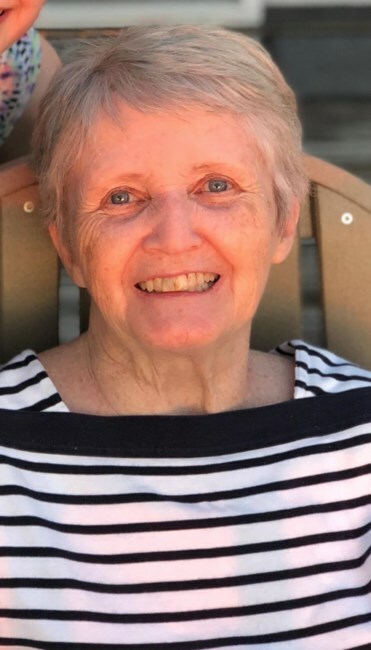 Judith (Connolly) Foley, 77, of Chicago, Illinois, passed away peacefully surrounded by her loving family on Sunday, September 16, 2018. Judy was born in Worcester, MA, on March 15, 1941 the daughter of Margaret and Nicholas Connolly. She graduated from North High School and embarked on a life filled with family, laughter, athletics — hers, her children’s and her grandchildren’s — and love. 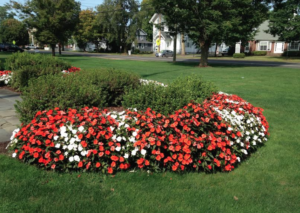 She lived in Shrewsbury, MA; Claremont, NH and Peterborough; De Pere, WI; The Villages, Florida and finally, Chicago, IL. For many years she spent summers in South Dennis, MA with her family, making Cape Cod a focal point of family gatherings, outings and fun. Judy was a devoted wife, a loving mother and grandmother, and a loyal friend to many. She provided invaluable support and guidance to her family, instilling the values of hard work, discipline and resilience, while also fostering a sense of service to others. She had a spark and wit that never left her, even in her final days. She never shied away from a lively discussion. Judy is survived by her beloved husband and best friend John “Jay” M. Foley, her sons: Mark T. Foley (Deborah) of Acton, MA; Michael E. Foley (Elizabeth) of Falmouth, MA; John B. Foley of Orange, CT; and her dear daughter Elizabeth “Beth” Foley Swanson (Brian) of Chicago, IL. She was a proud Grammy to Rebecca, Hannah, Nick, Rachel, Addie, Griffin and Grace Foley; and Maggie, Anna and John Swanson. With Grammy, little went unnoticed and much was enjoyed. She was a joyous grandmother. Nothing got past Judy and she was always ready to catch the Frisbee, ski the slopes, and hit a tennis ball or the beach. She was competitive, bright-eyed, and younger than her years. She adored music and participated in classical choir. A highlight of her many years with the Monadnock Chorus of Peterborough, was performing in Carnegie Hall. She was curious and progressive. Judy was a voracious reader, always carting around her New Yorker magazines and a book in her tote bag. Judy was predeceased by her parents, and sisters Margaret Moynihan and Anne Connolly. Judy leaves behind her sister Mary McLaughlin of Kennebunkport, ME, and their love of recreating their mother’s amazing recipes. She also leaves her brother John Connolly (Ingrid) of Waccabuc, NY, as well as numerous nephews and nieces.